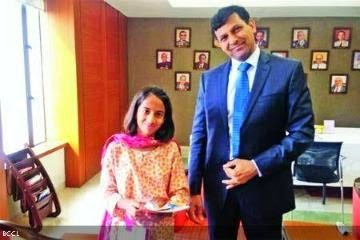 Young and vibrant Laila Indira Alva, who is currently studying in class VI of Sanskriti School, Chanakyapuri, and is a resident of Gurgaon, was recently in the news when a letter she wrote to RBI governor Raghuram Rajan in September 2013 was made public. 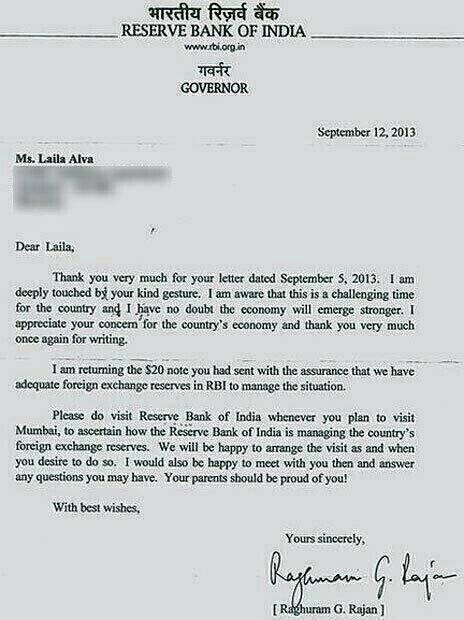 She sent the letter along with a $20 note which she had saved during her trip abroad, offering to help the economy, which was in the middle of a financial crisis at that time. 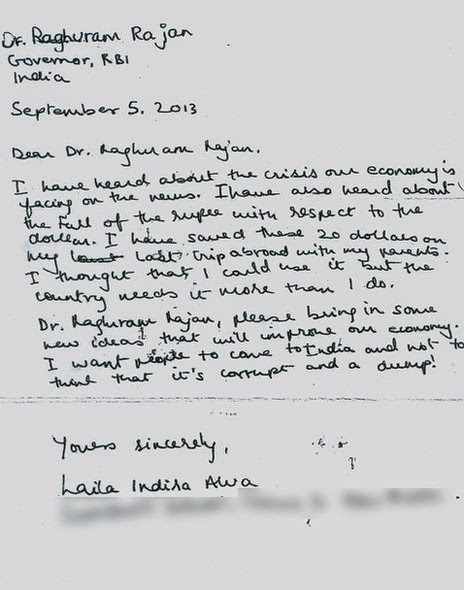 Laila has been an active member of the editorial team in her school and has also interviewed Milkha Singh. Currently learning Spanish, she feels she needs to brush up her spoken Hindi. She's an avid reader, with a keen interest in writing fiction stories, and writes one book per year for her school's collection and calls her mother her publisher. Having volunteered to teach English to underprivileged children in Gurgaon, Laila wants to be a part of an NGO dedicated to child rights in the future. The sports enthusiast who enjoys swimming, and loves to play the piano, which, she says, she learned from her father, hopes to grow up to be an RBI governor herself one day.